At the weekend I completed a half-ironman distance triathlon, which consists of a 1.9km swim, 90km cycle and finally a 21.1km run. Before discovering triathlon, I was a runner. Entirely focused on a single discipline. My training was oriented towards being the best long-distance runner I could be. 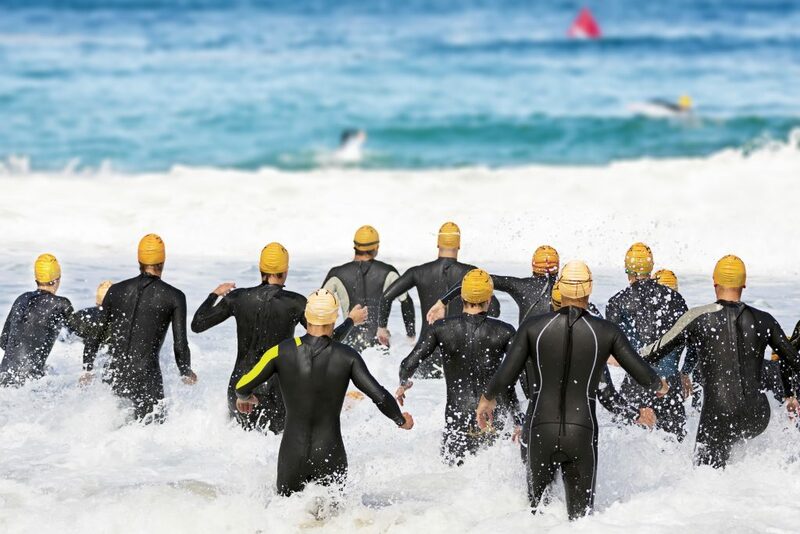 Triathlon is a multi-disciplinary sport, which makes it very different. You train for each discipline separately, but you also have to train your body to transition from one to the next as quickly as possible. In an actual event you have to carefully manage how much energy you put into each element, because you need to hold something in reserve for the next. Kick too hard on the swim and your legs will be dead before you even get on the bike. Max yourself out on the bike and your run could be a disaster. But somehow, in managing my performance across three disciplines and in the discomfort of transitioning from one to another, I find great satisfaction. While trying to distract myself from the effort of the triathlon on Sunday, it struck me that my discovery of triathlon from running is analogous to my career progression. Having studied electronics engineering and computer science at university, I started out as a software engineer in the telecoms industry writing code for mobile network elements. It was clear to me that this wasn’t really me … I loved the problem-solving angles, understanding the issues that our customers faced and designing solutions for them … but the actual engineering part just wasn’t what I wanted to do. Early in my career I was honoured to be given the opportunity to do an MBA, I moved into a general management role, and the rest is history. I’m one of the lucky people who love their job and hop out of bed with enthusiasm every morning (well… *most* mornings!). It’s abundantly clear that to successfully run a business you need both specialists and generalists. Any successful team I know of has a healthy balance of people who come from different disciplines, or who had cross-disciplinary knowledge. At UltraSoC we’ve recently set up the University Program, because we believe that strong links with the academic world provide multi-faceted benefits to everyone involved. As we are an engineering company at heart we are, of course, interested in forging links with engineering and computing students – the specialists. But, more broadly than that, we are also actively seeking partnerships with generalists – students and graduates in business, economics, marketing, strategy etc. We regularly support academic teams by providing guest lecturers to relevant courses – like this one by my colleague Gajinder Panesar. We also work closely with our university partners to offer exciting internship opportunities, and to identify Masters and PhD level projects of mutual interest, providing assistance to students throughout.